Milford, NH – Earthworks introduces two microphones from the new Installation Series, the IM3 and IM6, designed for permanent installation. The primary applications for the IM3 and IM6 include ceiling mounted teleconferencing, distance learning, surveillance, boardrooms, government facilities, and ambient room miking. The IM3 and IM6 both feature a 30Hz to 30kHz flat frequency response and patented polar technology, allowing orators to maintain the same high intelligibility throughout the room without a reduction in sound level or a loss of high frequencies. 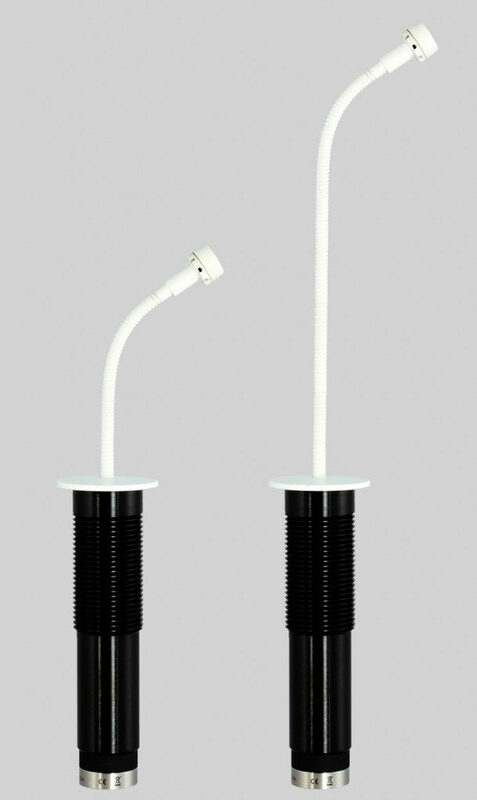 The Installation Series microphones come standard with a cardioid polar pattern, 4.495 inch body, and white finish on exposed sections. The IM3 has a 3 inch gooseneck and the IM6 has a 6 inch gooseneck. MAP pricing for the IM3 is $659 and $699 for the IM6. Volume pricing discounts available.